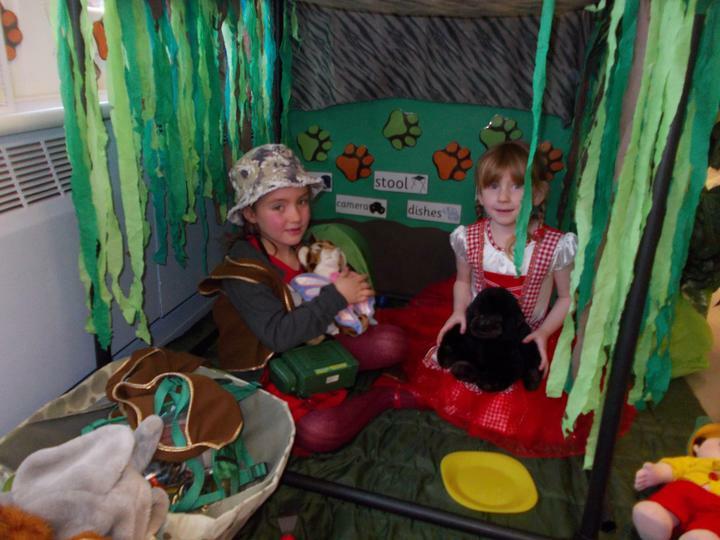 Our classrooms promote reading with an inviting and rich reading area; where our children can snuggle up with a good book. 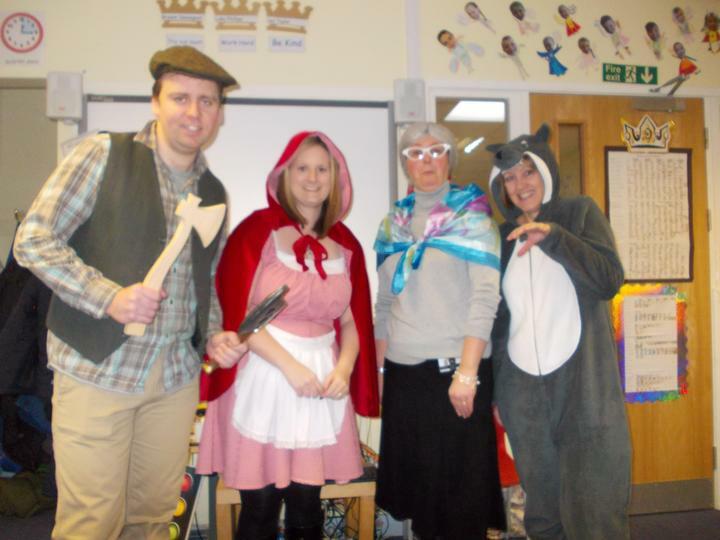 We have listened to children's views and provided books that they like to read. 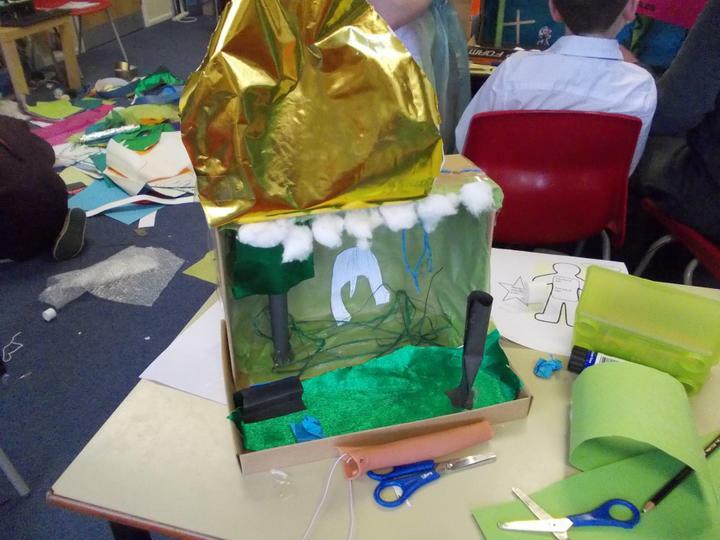 For example, in Year 4, there is a selection of Minecraft and Lego books, which the children really enjoy reading. There is also a wide range of books linked to the class topic to encourage our children to research and read for facts and information. 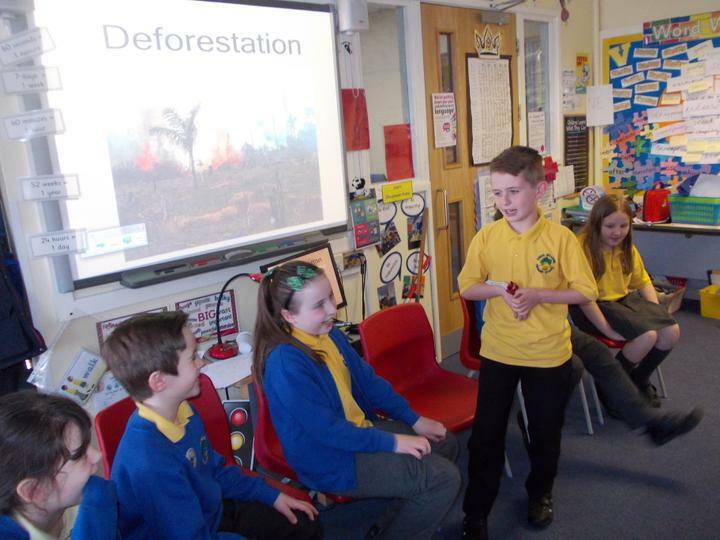 We subscribe to 'First News,' and each class has newspapers to encourage our children to debate about current affairs. Each class has a 'Story Teller Chair,' that we use when we retell stories. In Key Stage 2, each class studies a class novel each term, and through 'Book Talk,' we discuss characters and make predictions. 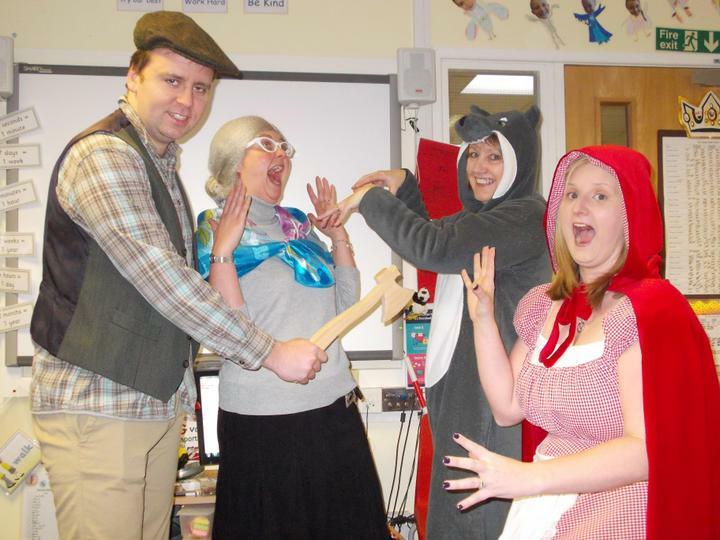 Year 4, 5 and 6 are part of the 'Accelerated Reading' scheme. 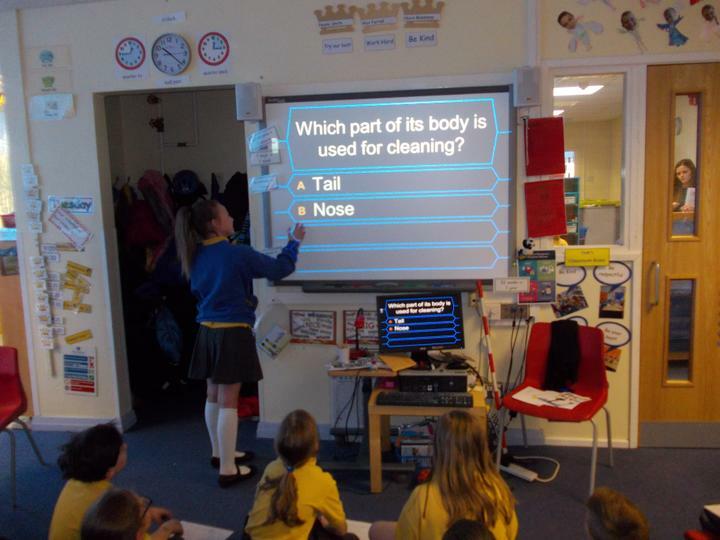 This has proved to be very popular with the children as they have a choice of books and are motivated to achieve full marks on their book quiz. 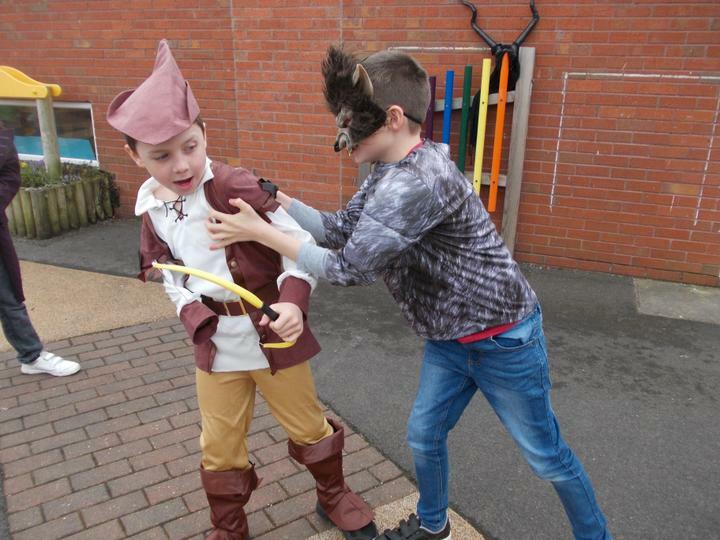 Quizzes are taken using and Ipad and the children are rewarded for 100% scores. 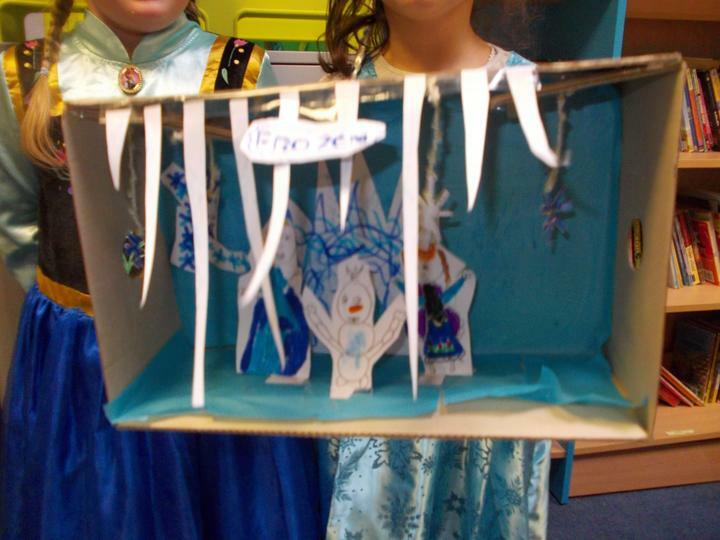 See class pages for more information. Reading in class is FUN! Read for My School Lunch Club is always busy! Connor is rocketing into space with his reading! 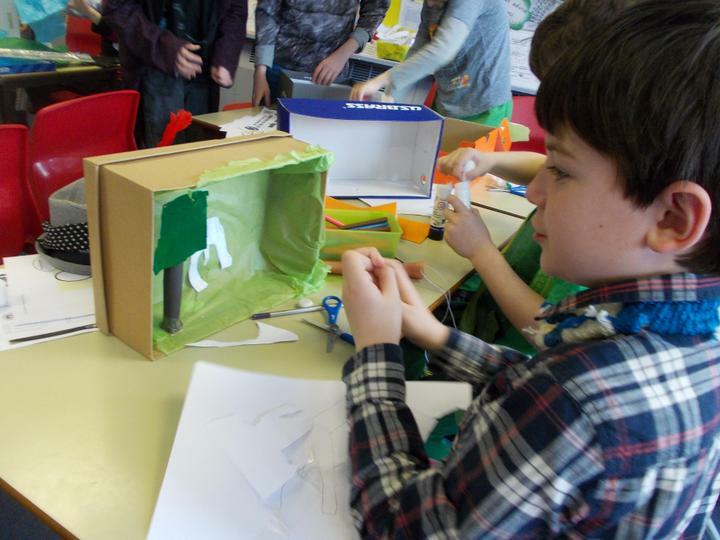 Spoken language is at the forefront of our curriculum. 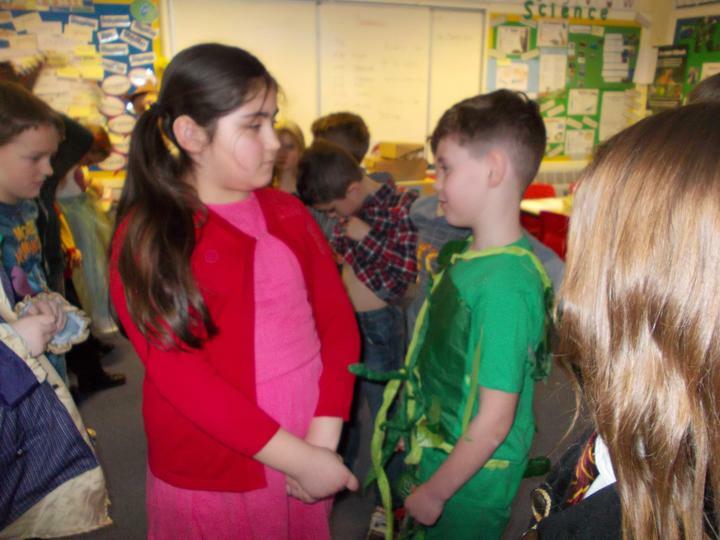 At Kings Meadow Primary School, we take pride in providing each child with the opportunity to speak aloud and believe in themselves to voice their own opinions. 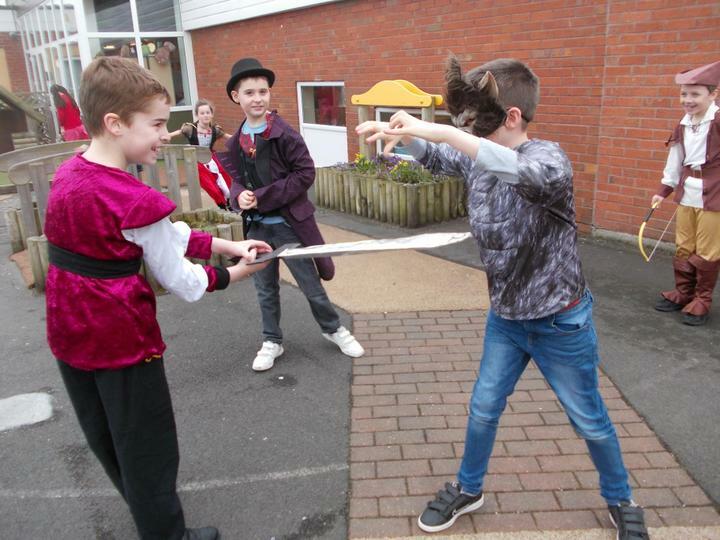 We develop children's confidence through exciting initiatives that we plan such as 'One Day Drama' work shops, 'No Pens Wednesday,' Performance Poetry Week, Christmas Performances and Class Assemblies. In our classrooms, we promote Standard English. 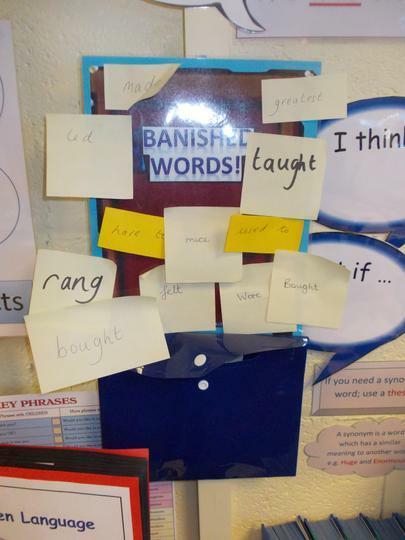 We have a 'Banished Words Poster,' which we use to banish words that are incorrect, such as 'runned,' and then we discuss the correct word to use- 'ran.' 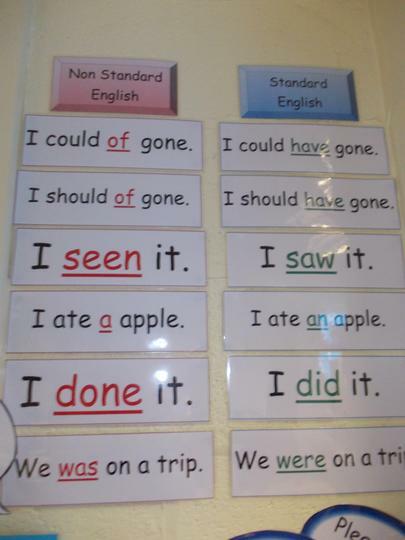 We also display Standard English prompts as reminders. As a whole school, we promote and reinforce the correct usage of English language. 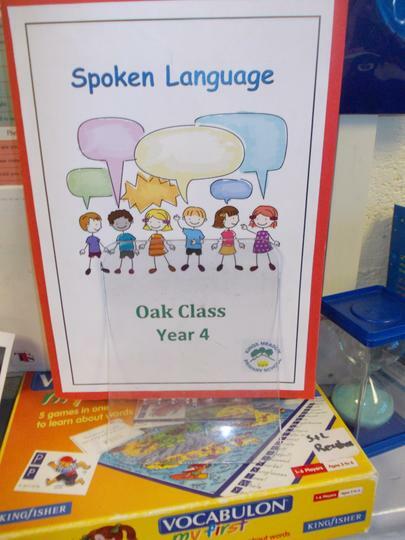 Our excellent Speech & Language Resource Unit, develops children's speech and language on their needs which is reinforced within class by the Class Teacher. 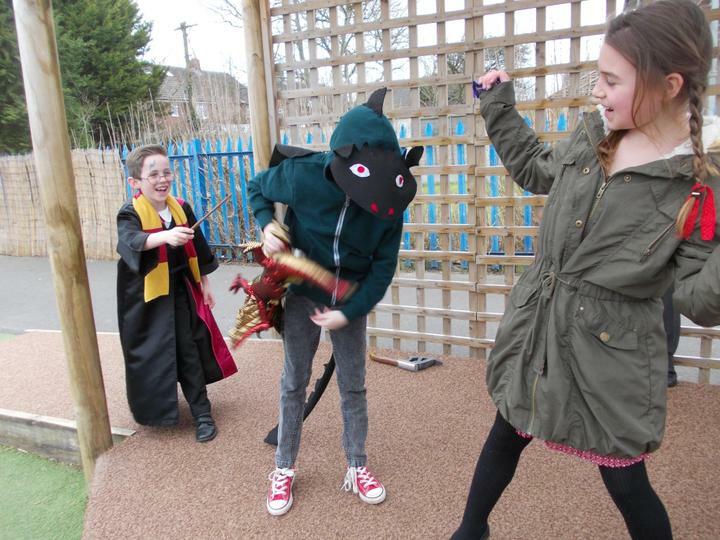 Children at Kings Meadow Primary School are at the forefront of Spoken Language; take a look at what we do! 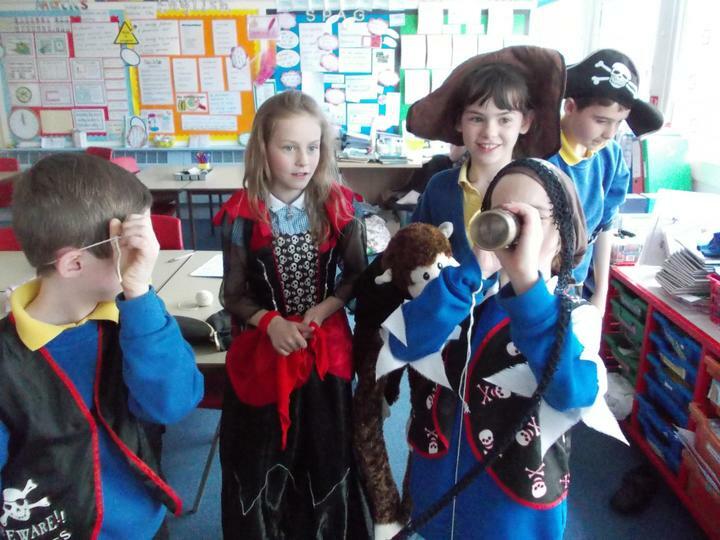 At Kings Meadow Primary we aim to make maths interesting and relevant. 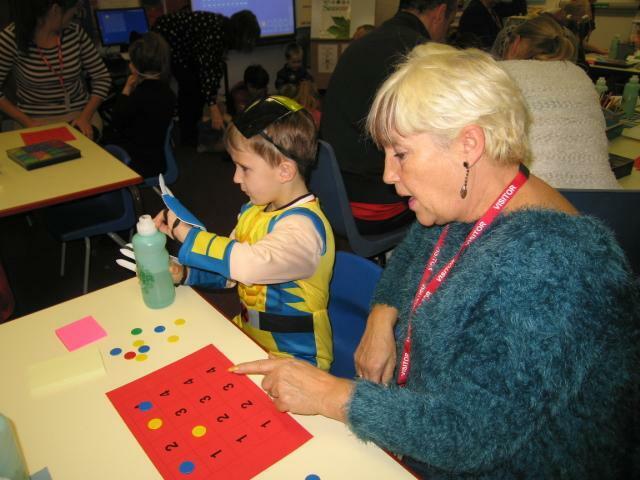 We promote enjoyment and confidence by making maths exciting. Number Sense - This can include puzzles, problems, number work, maths games and speed tests for addition, multiplication, subtraction and division. Magic Maths sessions last 15-20 minutes and always follow this format. 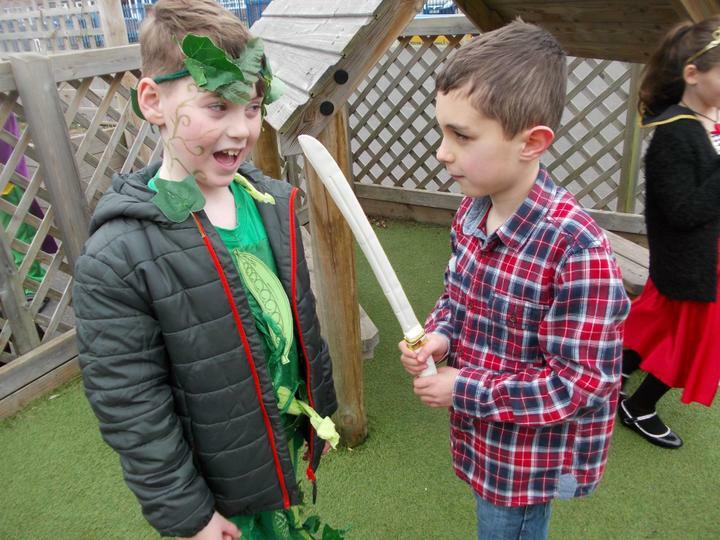 The activities are varied and help children to practise skills they have already been taught and then apply them to different problems and puzzles. 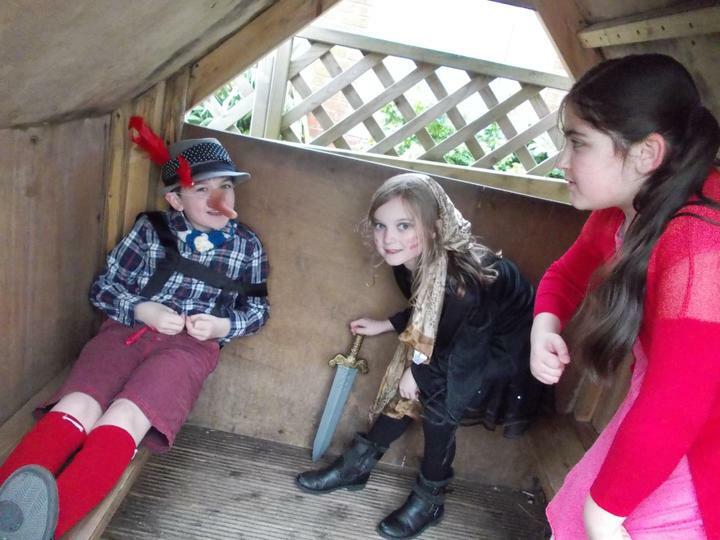 All children have the capability to be Mathemagicians! 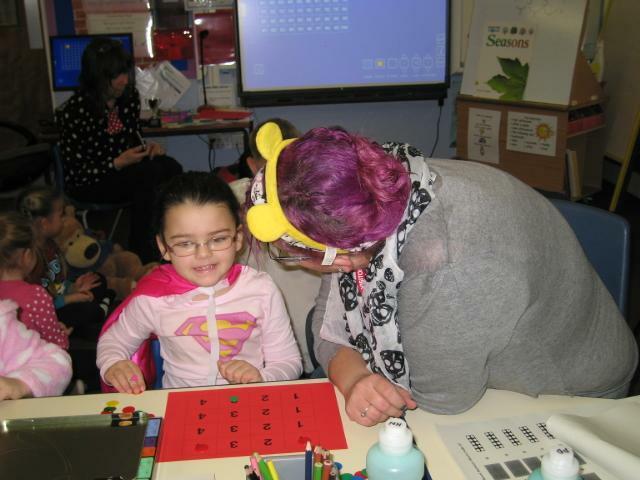 BIG Maths forms an integral part of BIG Fridays here at Kings Meadow! In Years 2-6 children complete a skills check to practise working with number. During the first session in the morning children complete the activity. 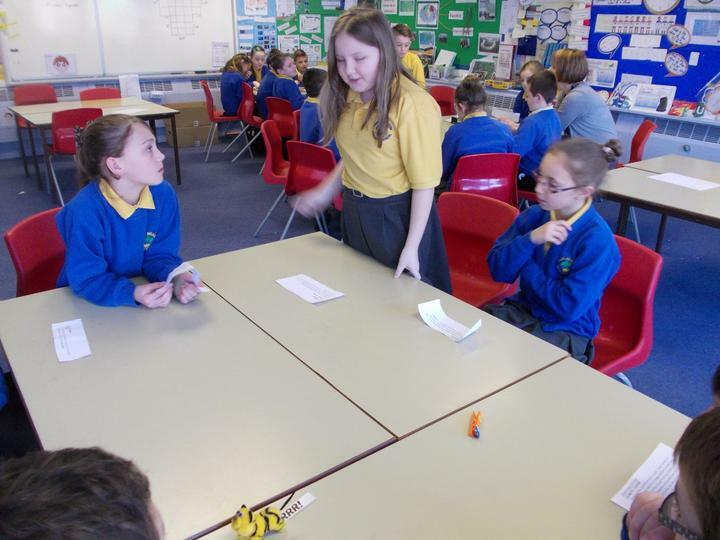 The children use prompt booklets to remind them of strategies they can use to calculate the correct answers. In the afternoon the children work in groups to go over concepts to help them improve the skills that they found the hardest. To motivate the children, the results are banded; red, yellow or green. 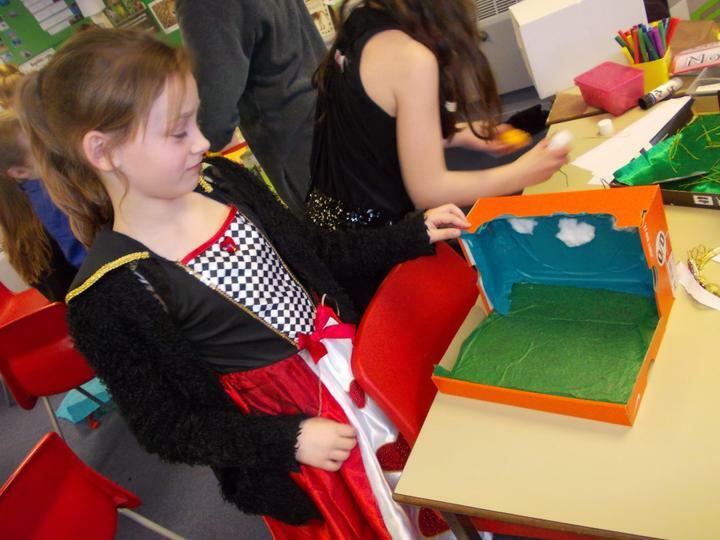 This is then tracked and all children aim towards ‘Going Green’. 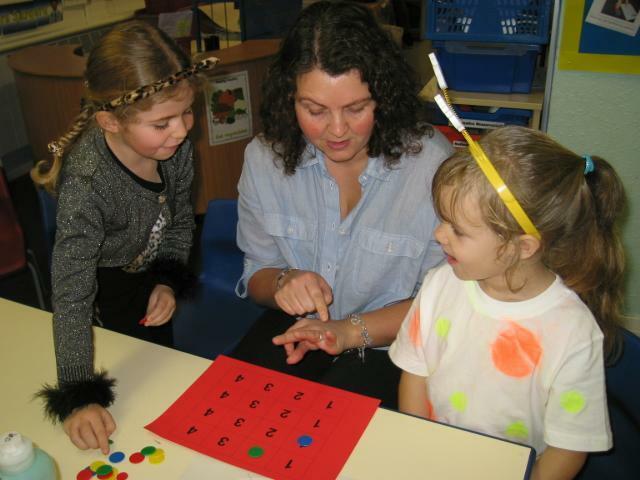 The skills check has helped give children confidence and essential time to consolidate number skills they have been learning. As you may be aware from the media and our school website the importance of times tables in the mathematics curriculum has been given greater emphasis and importance since the new curriculum was launched in 2014/15. 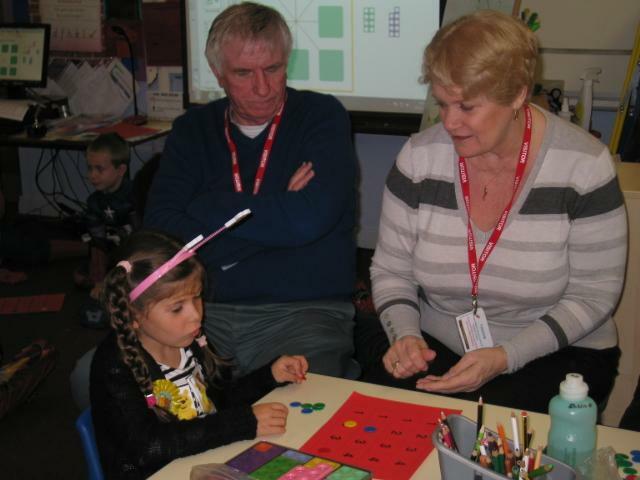 As a school we have recognised the importance of mental maths capabilities for some time and in a commitment to improving the children’s mental maths skills we have ‘Magic Maths’ sessions in addition to maths lessons in Years 1 to 6. 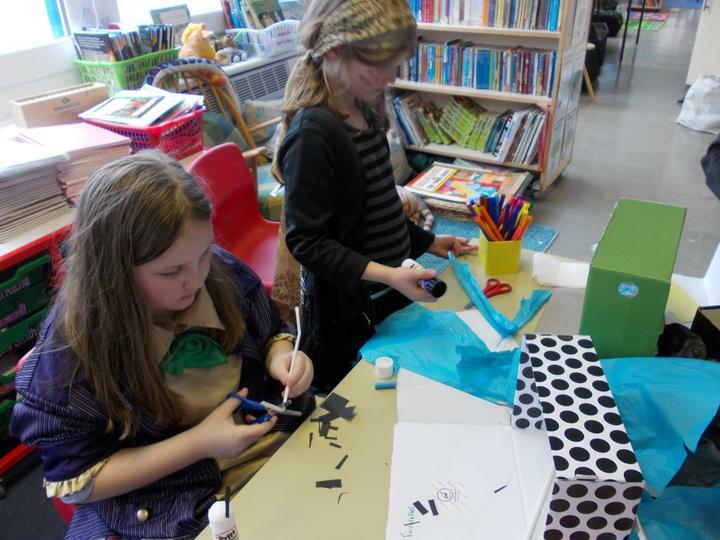 The curriculum requires children to know their tables up to twelve by the end of Year 4. 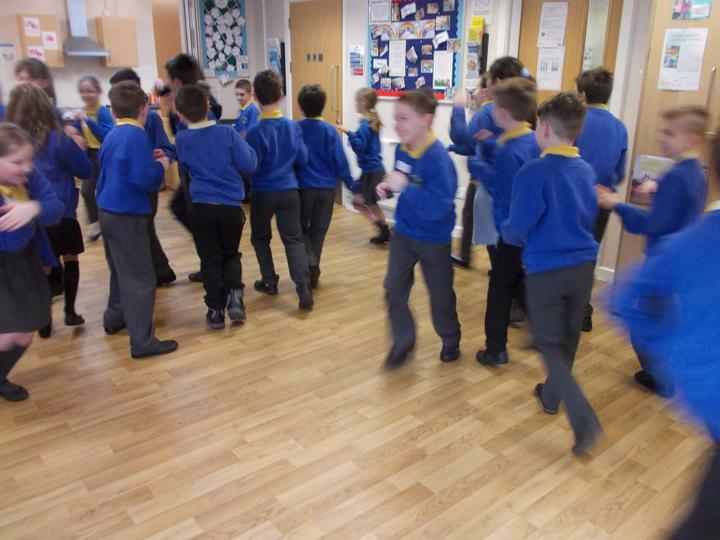 In school we encourage times tables practise through singing, chanting, counting and a variety of games. Resources can be found on the school website through the mathematics curriculum and school development pages. To recognise and reward the children’s efforts and achievements in learning tables we are launching a new award system. The system continues our achievement policy of awarding levels of Bronze, Silver and Gold. The Times Tables Award process will start in Year 2. Pupils should nominate themselves in school to be tested for an award. They will be tested individually and if successful an appropriately coloured star will be added to this award card. A Bronze award will be given for being able to complete a multiplication table without error e.g. One times three is three, two times three is six, three time three is nine…. A Silver award will be given for being able to give answers to random multiplication questions e.g. What is five times five? What are five eights? A Gold award will be given for being able to provide answers to division questions associated with the times table e.g. What is 49 divided by seven? How many sevens are there in 21? When all tables are completed to Bronze, Silver and Gold standard the pupil will receive their Times Table Award Badge. 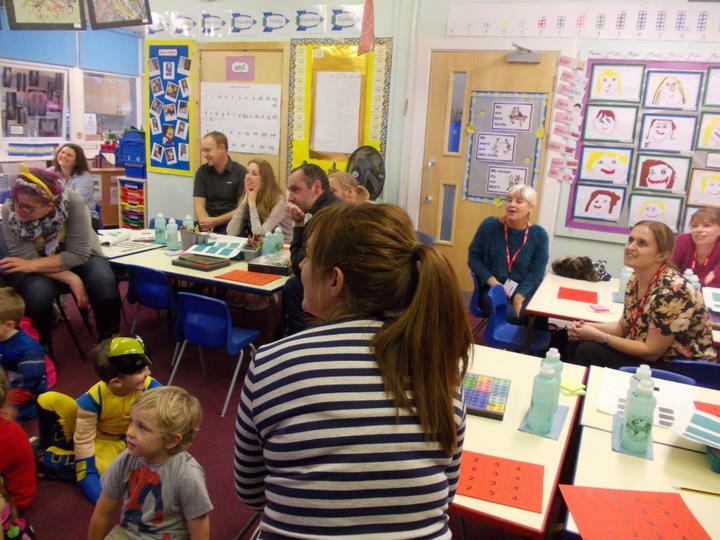 To give parents ideas and strategies to help support at home, we recently hosted a ‘Stay and Count’ event for parents and carers of children in Year 1. 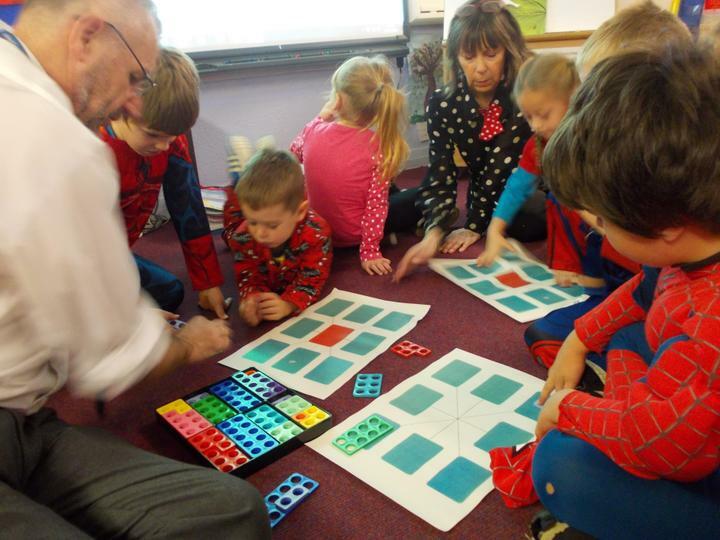 The session was very busy and started off in Beech Class (Year 1) with visiting LA Maths Intervention Officer, Steve Rees. 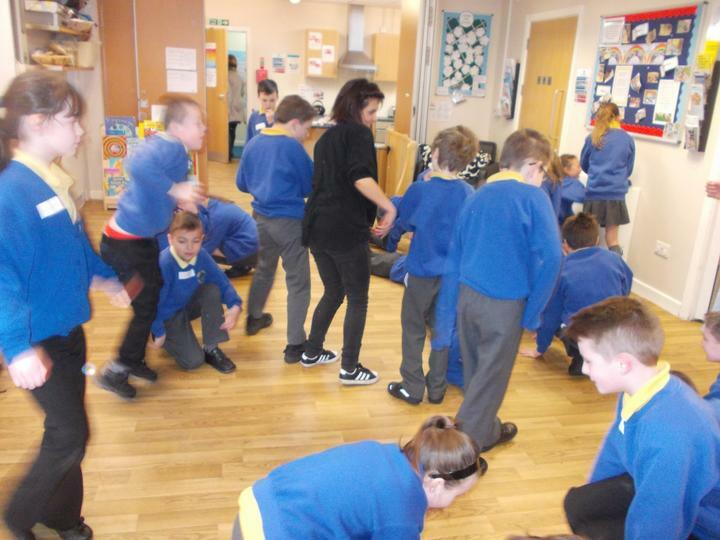 Mr. Rees led games and activities for the children to carry out with their parent/carer. 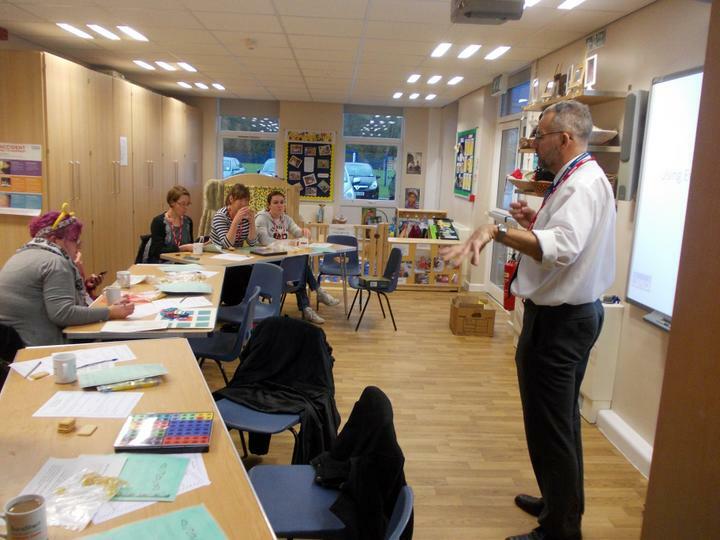 Following the session in the class room, Mr. Rees gave a presentation to parents and carers giving simple, however effective ideas to help children develop early number skills. 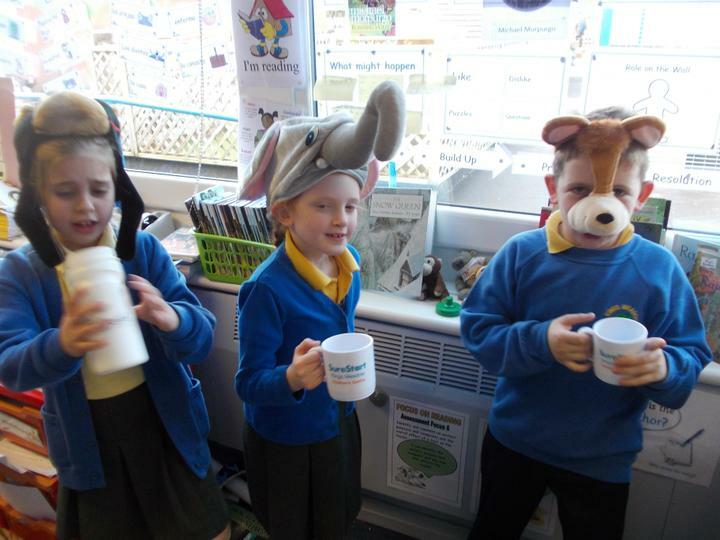 We also enjoyed a well-earned cuppa and biscuits! 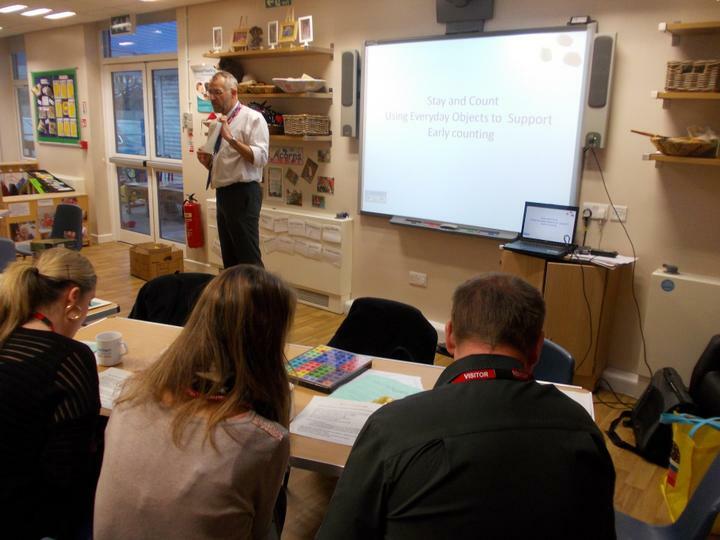 To launch our new curriculum compliant Calculation Policy we hosted an evening event to talk parents and carers through the stages of calculation progression. 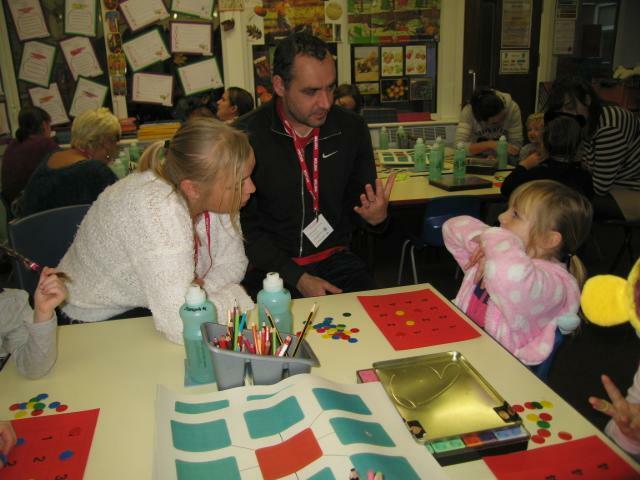 LA Maths Intervention Officer, Steve Rees, modelled and explained our policy giving examples and opportunities for parents to have a go. As always the hard work was rewarded with a plentiful supply of refreshments!